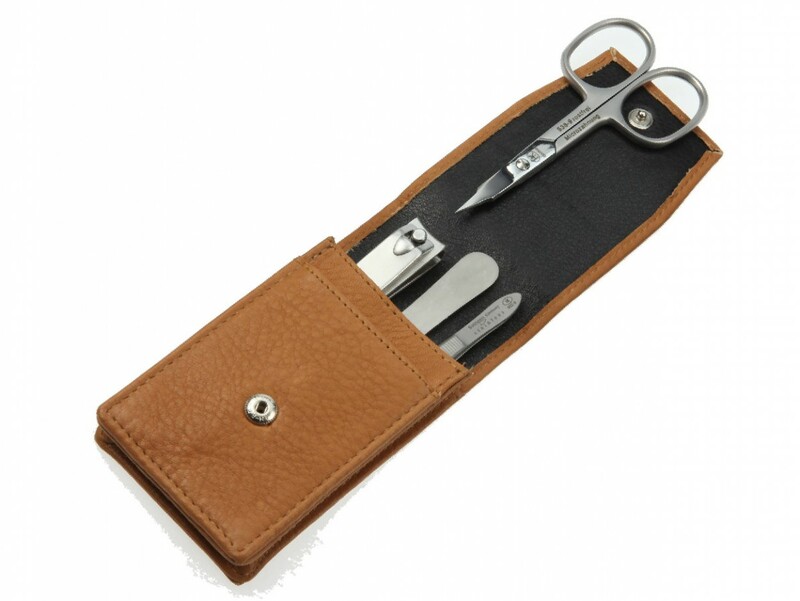 For a frequent traveller or someone who likes their valuables organised, Hans Kniebes Solingen classic Inox manicure set is a go-go for keeping your nail tools handy and ready to use, when your next manicure is due. 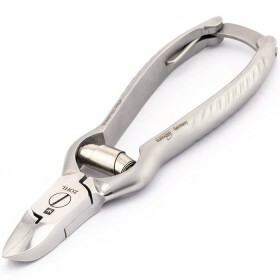 Crafted by Solingen masters in manicure and pedicure care, its first-class implements are made of fine stainless steel Inox with matte finish, and carefully protected in a soft sand leather case, to prevent rubbing and damage of the blades. 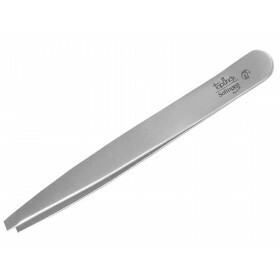 Hans Kniebes manicure sets are recognised world-wide for excellent quality of manicure implements that combine hot-forged Inox stainless steel, amazing sharpness of the blades and comfortable design – all translating into excellent and durable cutting properties of the manicure tools. 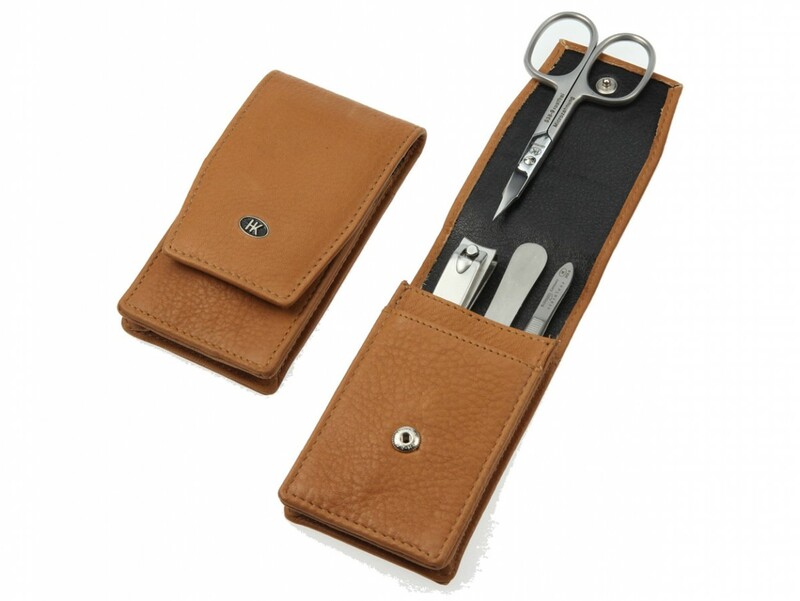 This Solingen classic Inox manicure set has everything for essential nail grooming, with the sand leather case adding a nuance of elegance and style to your manicure routine. When you buy a Hans Kniebes manicure set, rest assured you are buying top quality nail set that will last thanks to hot forged Inox steel, which changes its molecular structure and helps to keep original sharpness for a very long time, without blades going blunt and tearing your nails. Finished by hand, every instrument is guaranteed to work beautifully. 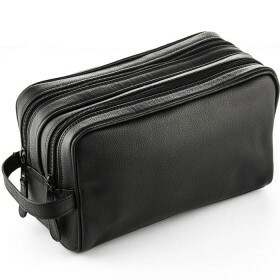 So forget about frequent replacement of your nail tools because this manicure set will give you years of outstanding service, and always delight with excellent performance. 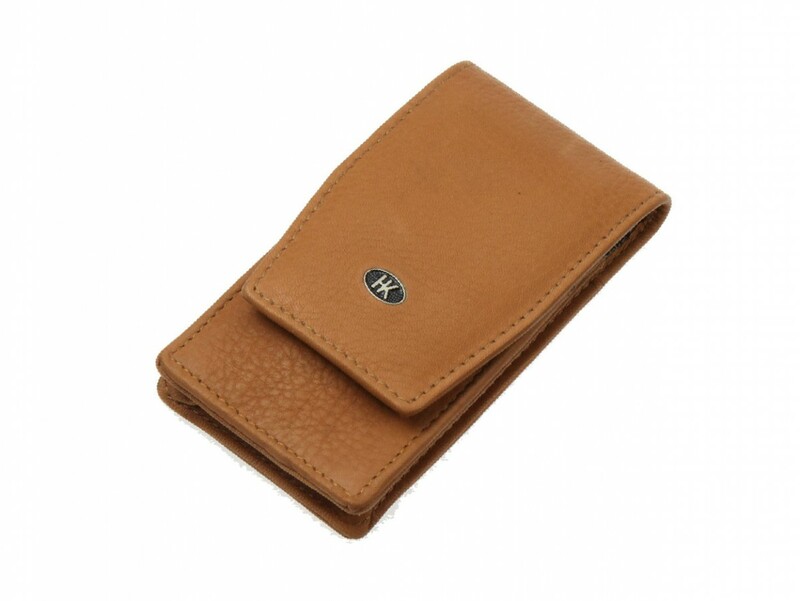 Elegant case made of carefully selected full-grain cowhide, secures all implements in place and fastens with a press stud. And the sand colour adds a luxurious touch – beautiful to your discerning eye and just as pleasant on your nails. 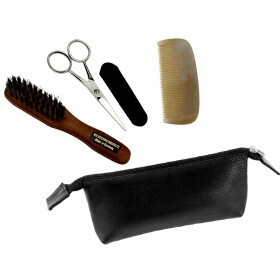 Awesome set made of beautiful leather, the manicure tools come with a satin finish and are of heavy metal, you can feel the quality all around it. Doesn't it perform...oh yes. Thanks Julie! Loved it.